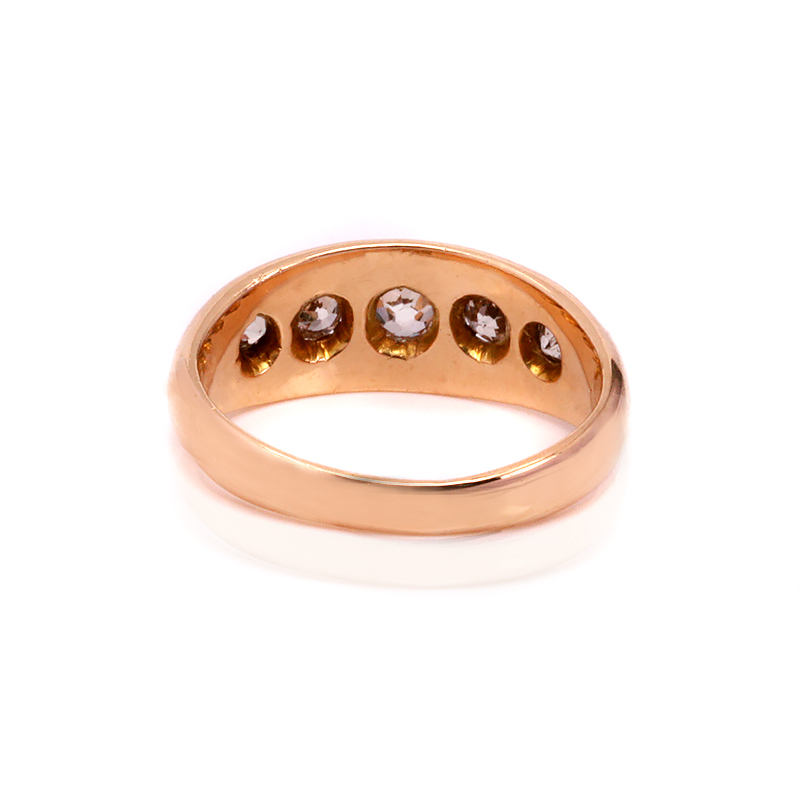 Product code: ES7826 Categories: Sold Items, Sold Rings. Here is a very stylish and unique 18ct antique European cut diamond ring made in 1914 that will suit any finger as well as any occasion. Set with five European cut diamonds that total 0.93 carats, the sparkle from the diamonds is wonderful as is the setting that they are in. Graduating in size, they are set into the band each in their own distinct setting. It is this wonderful smooth clean look that belies the fact that this ring is over 100 years ago. With such a clean sleek look to it, there is little doubt that it will always continue to get the admiration that it deserves. Measuring 18.6mm across and tapering from 8.1mm wide at the top to 2.8mm wide at the back of the ring, this also adds to the sleek and contemporary look and feel o the ring. This is such a beautiful and unique antique diamond ring that is just perfect for any occasion. This antique diamond ring was made in 1914 and set with genuine antique European cut diamonds. 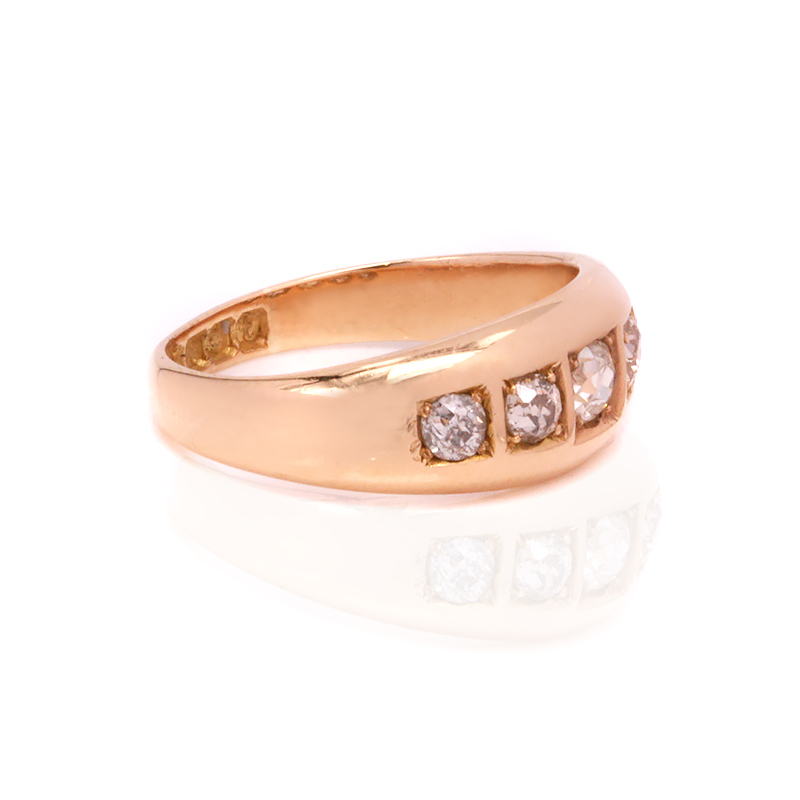 Made in 18ct gold, it will suit any finger and occasion, including making a wonderful example of an antique diamond engagement ring with a difference.